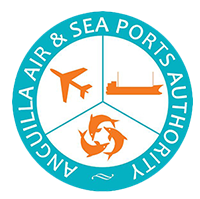 The Anguilla Air and Sea Ports Authority (AASPA) was established on October 26, 2009 by an Act of the House of Assembly, and is an independent statutory body, governed by its own legislation. The Legislation (Act) may be cited as the Anguilla Air and Sea Ports Authority Act (2010), revised statutes of Anguilla, Chapter A57. The AASPA is established with the exclusive right to manage the ports of Anguilla. Namely: The Clayton J. Lloyd International Airport, Blowing Point Port, Road Bay Port, the Marine Base in Sandy Ground, and Corito Port. The Anguilla Air and Sea Ports Authority has an Advisory Board of Directors (the Board) of six all of whom are appointed by the Governor in Council. To create an efficient, profitable and self-sustaining organization staffed by highly trained and motivated personnel, providing quality service to our clients, at world class port facilities and their environs, where diverse lucrative (economic) opportunities are available for private and public sector entities. The Anguilla Air and Sea Ports Authority exists to provide for co-ordinated and integrated systems of airports, sea ports and port services working closely with industry and port users to meet their changing needs by investing in port infrastructure and providing services in an efficient manner for the benefit of its users.